The lovely Milsters, from Little Pieces of Light, organises a macaron tasting competition each year under the name "Macaron Smackdown" and this year I had the pleasure to be invited. 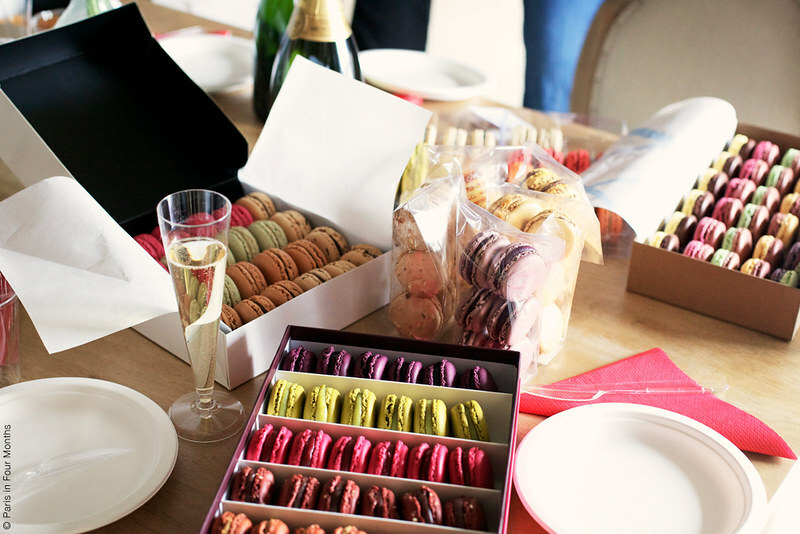 A day filled with a countless number of macarons and champagne — it can't get much better than that, can it? 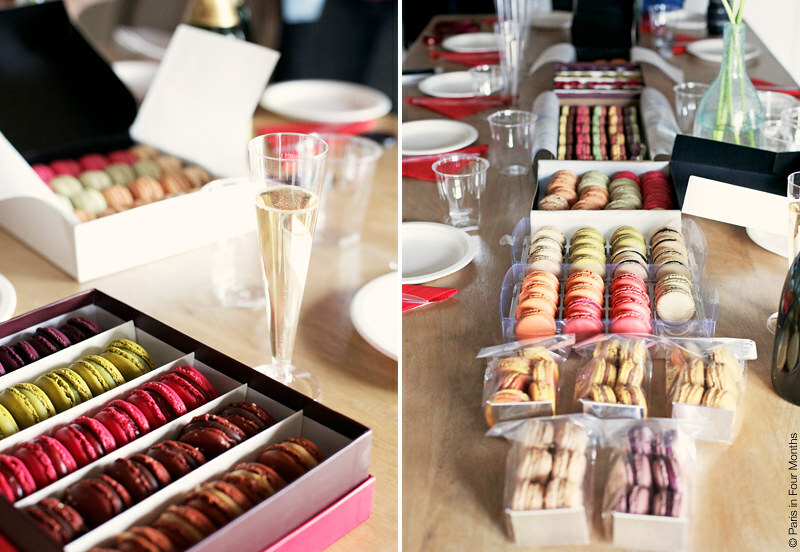 Together with a lovely group of people (Milsters, Yasmine, Toshi, Greg, Edna, Grace, Stephanie, Malin, and Vicky) we tasted around 20 macarons each to then decide on a winner of each flavour. 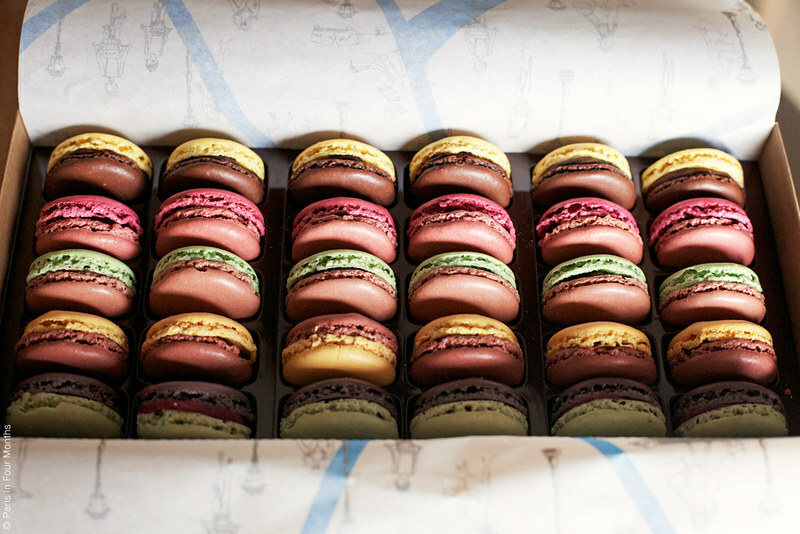 The macaron houses competing this year were last year's winner Carette and Pierre Hermé, Hugo & Victor, Sadaharu Aoki, and Jean-Paul Hévin (to avoid several questions: yes, Ladurée is missing. They came in last the year before and was therefor not competing this year). The flavours we tasted were: caramel au beurre salé, framboise, pistache, a specialty flavour with chocolate/nuts and a specialty flavour with fruit/flower. This year's winner turned out to be Pierre Hermé with Carette as a close second, Hugo & Victor came in on a third place followed by Sadaharu Aoki and last came Jean Paul Hévin (which I didn't like at all). 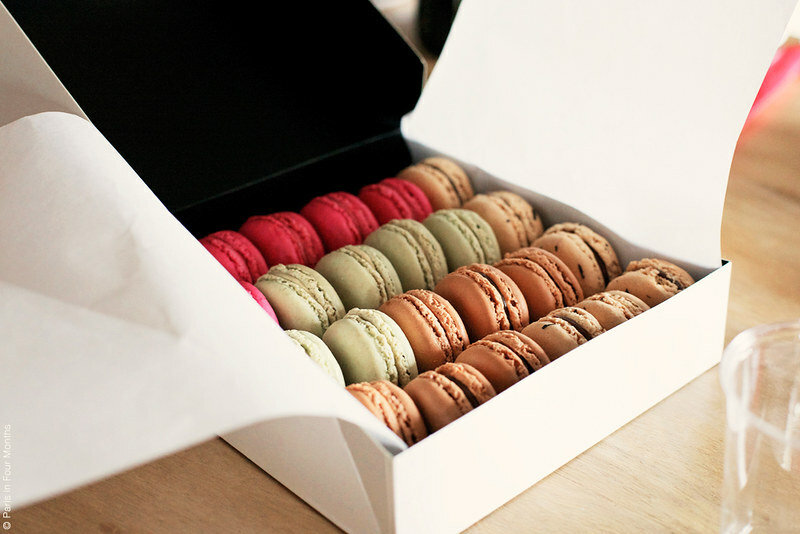 Macarons can really be a tricky thing! They both taste and are made so completely different that you really need to taste them all (well, if that's possible) before you can choose your favourite ones. Just look how different they're made. For example Hugo & Victor's are more modest while the ones from Carette are bursting with colour and filling. 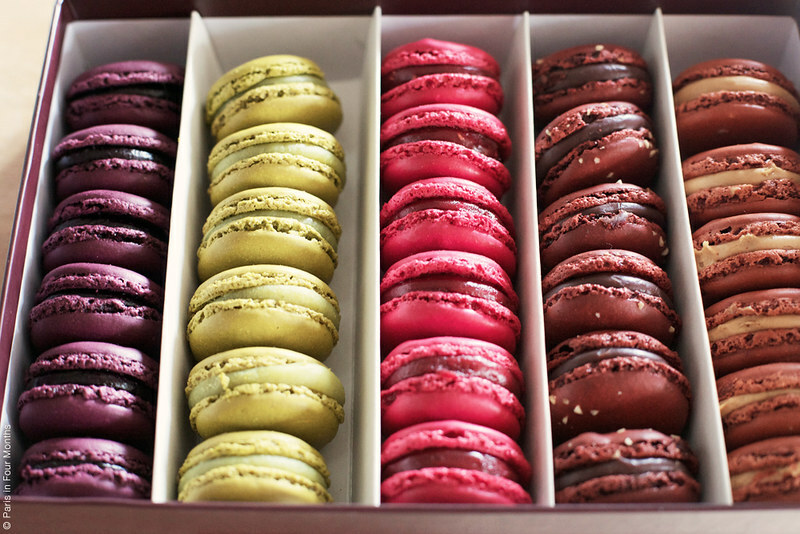 And I think my favourite comment from the afternoon had to be Greg's: "Carette macarons are like macarons on steroids!". Oh yes they are. My favourite macarons from the day were: the caramel au beurre salé from Sadaharu Aoki (the orange one in photo #3), the caramel au beurre salé and framboise from Hugo & Victor (seen in photo #5), the pistache from Carette and the passion fruit from Pierre Hermé (seen somewhere in photo #1). 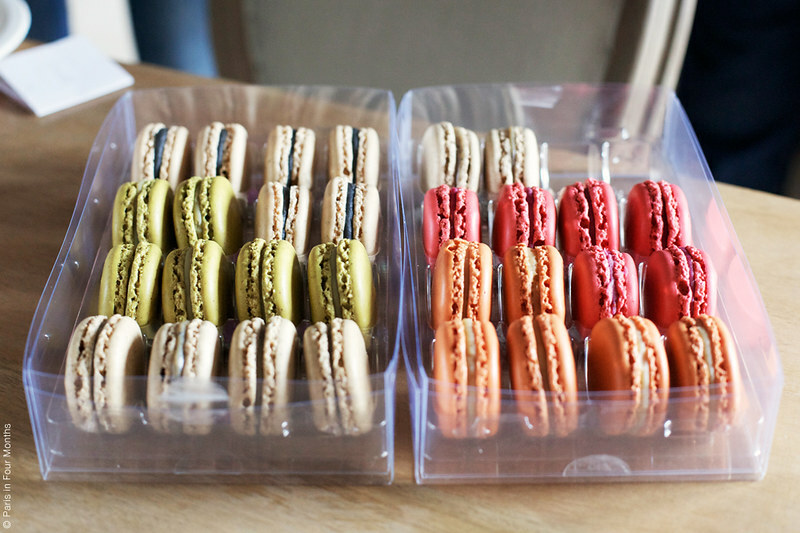 For more photos, a waay better explanation and many many more details I think you should drop by Milsters' post about this afternoon, thank you for being such a lovely host and letting us have an excuse to indulge in a small fortune worth of macarons!